For the last few years I have concentrated on developing my career as a solo pianist and singer. Since the age of sixteen I’ve been playing keyboards in bands of different sizes performing a range of music styles including Pop, Rock, Country, Blues, Jazz & Swing, Acoustic Lounge etc. ctc. 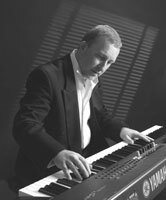 In the mid 1990’s I started playing as a solo pianist/singer and since then I’ve played at hundreds of events in a variety of venues including ships, theatres, hotels, pianobars, holiday parks, clubs and private homes. 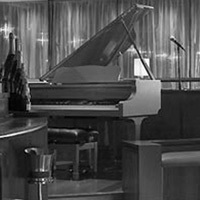 The piano is a very versatile instrument and enables me to be very versatile as a performer. As such I can play and sing in a variety of styles to suit almost any event. If it’s very low key background music that’s required, no problem! Perhaps you’d like some sophisticated music with some singing at an elegant drinks reception or during a wedding breakfast? I can do that! How about a bit of rip roaring rock and pop with full on audience participation thrown in? I can do that too! Whether it’s for a listening or a dancing audience, my aim is to play something for everybody! I’ve been the ‘Front man’ in many musical projects so I am very comfortable engaging with an audience on a variety of levels. Maybe some gentle chat would be approptrate, or some gentle encouragement to sing along with some of the music. I can be as ‘Up front’ or ‘Laid back’ as required, both musically and with my presentation. Of course, sometimes it’s appropriate to just play in the background without engaging with the audience at all, and I’m happy to do that as well! My repertoire covers a wide range of music from the 1940’s to the present day and includes many different musical styles. Most importantly, I am very aware that your event, be it a wedding, birthday, anniversary, or some other type of function, is a very important to you, possibly the most important day of your life! I will do my very best to ensure that the music I provide is perfect for you, whatever the occasion!